Hi, Shannon here sharing a set of cards today to cheer up a few friends. I have a lot of friends right now, all around me, and you may also, who need a little pick me up. 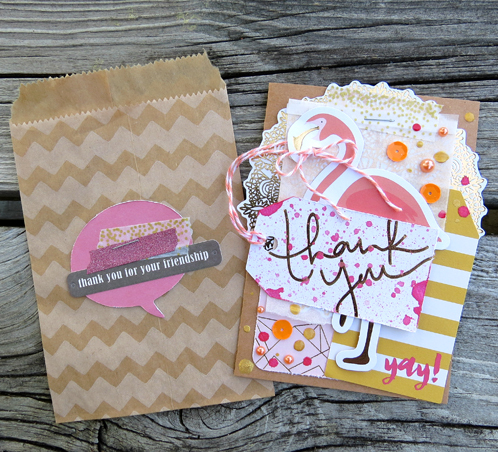 I used E-Z Runner® Grand Repositionable Dots Refill, 3D Foam Squares White Mix, E-Z Runner® Grand Refillable Dispenser and Dual Tip Glue Pen to create this cute set of cards. 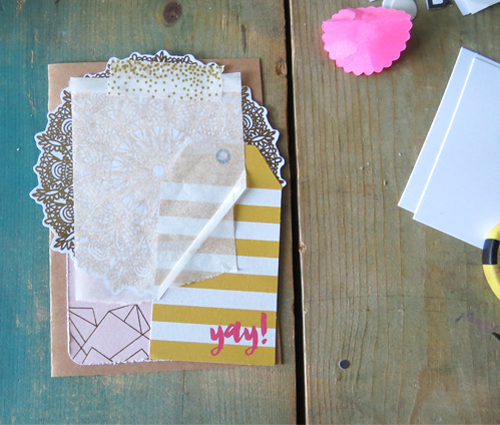 My hope is that this card set inspires you to create some handmade love for your friends or family! 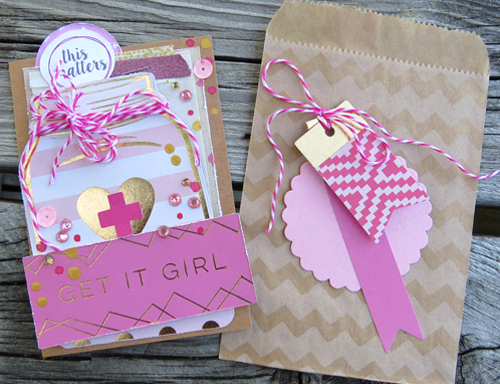 This set was fun to create, I used twine and other things to add some colorful punches. I used the E-Z Runner® Grand Repositionable Dots Refill to get my placement just right on these cards, putting a lot of care into the details here and there to each one. Using the repositionable adhesive gives the opportunity to place things and re-adjust them if needed before adhering them permanently. 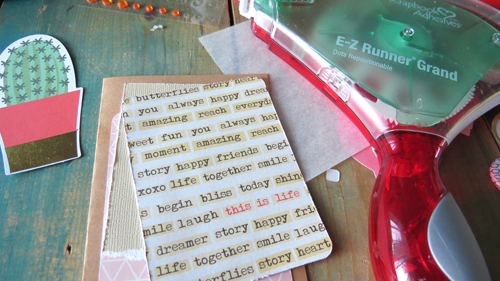 I used the repositionable adhesives for the “sentiment” on the card above. This is the first card in the set. For the sentiment to stick out but not overpower the card, I wanted the heart to be “just so.” It took a few times but made it work! 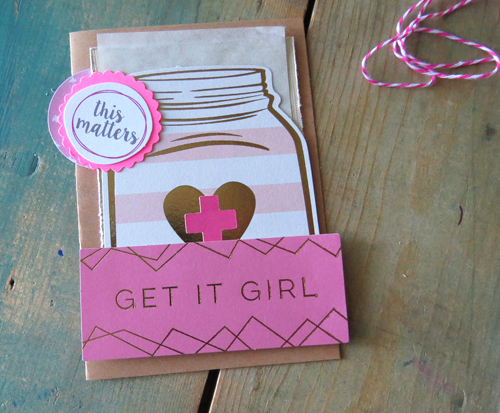 A card set often contains multiple cards, this is perfect when you need a card readily available. I again, wanted that “yay!” sticking out “just so” and the repositionable adhesive came in handy for just that. The final card was a little less layered. However, it required attention to the details that were on it. 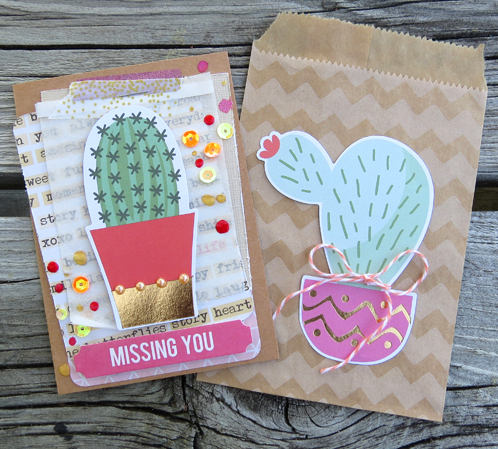 Placing some gemstones on the potted cactus die cut adds some visual interest. I also wanted to make sure that some of that cute patterned paper sticking out before attaching the sentiment to the card front. Each card needs an envelope to help complete the card set. Did you know that using bags is a great alternative to a traditional envelope? It is! A few accents that coordinated to each card were the finishing touches. This entry was posted in Beginner, Cards, Crafts & Tutorials, Repositionable Adhesive and tagged 3D Foam Circles White Mix, Card, Card Making, Dual Tip Glue Pen, E-Z Dots Refill Value Pack, E-Z Dots Repositionable, E-Z Dots Repositionable Refill, E-Z Dots Repositionable Refillable, E-Z Runner Grand Dispenser, E-Z Runner Grand Repositionable Dots Refill, Friendship, HomeHobby by 3L. Bookmark the permalink.